Allegheny City, known today as Pittsburgh’s North Side, was the third-largest city in Pennsylvania when it was controversially annexed by the City of Pittsburgh in 1907. Founded in 1787 as a reserve land tract for Revolutionary War veterans in compensation for their service, it quickly evolved into a thriving urban center with its own character, industry, and accomplished residents. Among those to inhabit the area, which came to be known affectionately as “The Ward,” were Andrew Carnegie, Mary Cassatt, Gertrude Stein, Stephen Foster, and Martha Graham. Once a station along the underground railroad, home to the first wire suspension bridge, and host to the first World Series, the North Side is now the site of Heinz Field, PNC Park, the Andy Warhol Museum, the National Aviary, and world headquarters for corporations such as Alcoa and the H. J. Heinz Company. Dan Rooney, longtime North Side resident, joins local historian Carol Peterson in creating this highly engaging history of the cultural, industrial, and architectural achievements of Allegheny City from its humble beginnings until the present day. 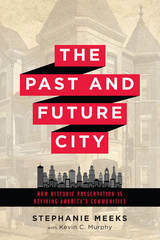 The authors cover the history of the city from its origins as a simple colonial outpost and agricultural center to its rapid emergence alongside Pittsburgh as one of the most important industrial cities in the world and an engine of the American economy. They explore the life of its people in this journey as they experienced war and peace, economic boom and bust, great poverty and wealth—the challenges and opportunities that fused them into a strong and durable community, ready for whatever the future holds. Supplemented by historic and contemporary photos, the authors take the reader on a fascinating and often surprising street-level tour of this colorful, vibrant, and proud place. Twenty-five years ago Grace Shackman began to document the history of Ann Arbor’s buildings, events, and people in the Ann Arbor Observer. Soon Shackman’s articles, which depicted every aspect of life in Ann Arbor during the city’s earlier eras, became much-anticipated regular stories. Readers turned to her illuminating minihistories when they wanted to know about a particular landmark, structure, personality, organization, or business from Ann Arbor’s past. Packed with photographs from Ann Arbor of yesteryear and the present day, Ann Arbor Observed compiles the best of Shackman’s articles in one book divided into eight sections: public buildings and institutions, the University of Michigan, transportation, industry, downtown Ann Arbor, recreation and culture, social fabric and communities, and architecture. For long-time residents, Ann Arbor expatriates, University of Michigan alumni, and visitors alike, Ann Arbor Observed provides a rare glimpse of the bygone days of a town with a rich and varied history. Grace Shackman is a history columnist for the Ann Arbor Observer, the Community Observer, and the Old West Side News, as well as a writer for University of Michigan publications. 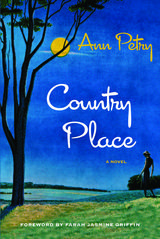 She is the author of two previous books: Ann Arbor in the 19th Century and Ann Arbor in the 20th Century. Women from all over Arkansas—left out of the civil rights granted by the post–Civil War Reconstruction Amendments—took part in a long struggle to gain the primary civil right of American citizens: voting. The state’s capital city of Little Rock served as the focal point not only for suffrage work in Arkansas, but also for the state’s contribution to the nationwide nonviolent campaign for women’s suffrage that reached its climax between 1913 and 1920. Based on original research, Cahill’s book relates the history of some of those who contributed to this victorious struggle, reveals long-forgotten photographs, includes a map of the locations of meetings and rallies, and provides a list of Arkansas suffragists who helped ensure that discrimination could no longer exclude women from participation in the political life of the state and nation. Published to controversial acclaim in 1977, The Assassination of Paris describes the transformation of the Paris of Raymond Queneau and Henri Cartier-Bresson; of quartiers of carpenters and Communists and country folk from the Auvergne; of dance halls and corner cafes. Much of Louis Chevalier's Paris faced the wrecking ball in the 1950s, 60s, and 70s, as Georges Pompidou, Andre Malraux and their cadres of young technocratic elites sought to proclaim the glory of the new France by reinventing the capital in brutal visions of glass and steel. Chevalier sought to tell the world what was at stake, and who the villains were. He describes an almost continual parade of garish and grandiose plans: some, like the destruction of the glorious marketplace of les Halles for him the heart of the city, were realized; others, like the superhighway along the left bank of the Seine, were bitterly and successfully resisted. Almost twenty years later, we find it difficult to remember the city as it was. And while Paris looks to many much the way it always has, behind the carefully sandblasted stone and restored shop fronts is a city radically transformed—emptied of centuries of popular life; of entire neighborhoods and the communities they housed engineered out to desolate suburban slums. The battle over the soul and spirit of the city continues. 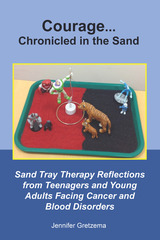 This book is not entirely about the loss of physical places. Or a romance about a world that never really was. 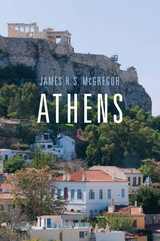 It is a cautionary tale filled with lessons for all who struggle to protect the human scale, the diversity, and the welcoming public life that are the threatened gifts of all great cities. As the representative building of the state, the Capitol has served as a silent witness to the evolving needs and interests of all Colorado citizens. The statehouse provided a proud testament for nineteenth-century Coloradoans who wanted to prove their state's potential through grand architecture and it represents "the heart of Colorado" to this day. 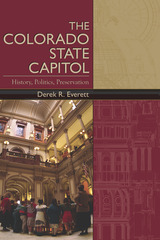 In one comprehensive volume historian Derek Everett traces the establishment, planning, construction, and history of Colorado's state capitol - including a discussion on the importance of restoring and preserving the building for current and future generations of Coloradoans. With its charming heirloom gardens, historic livestock breeds, and faithfully recreated farmsteads and villages that span nearly 600 acres, Old World Wisconsin is the largest outdoor museum of rural life in the United States. But this seemingly time-frozen landscape of rustic outbuildings and rolling wooded hills did not effortlessly spring into existence, as John D. Krugler shows in Creating Old World Wisconsin. Visionaries, researchers, curators, and volunteers launched a massive preservation initiative to salvage fast-disappearing immigrant and migrant architecture. Dozens of historic buildings in the 1970s were transported from locations throughout the state to the Kettle Moraine State Forest. These buildings created a backdrop against which twenty-first-century interpreters demonstrate nineteenth- and early twentieth-century agricultural techniques and artisanal craftsmanship. The site, created and maintained by the Wisconsin Historical Society, offers visitors a unique opportunity to learn about the state’s rich and ethnically diverse past through depictions of the everyday lives of its Norwegian, Danish, Finnish, German, Polish, African American, and Yankee inhabitants. 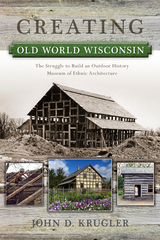 Creating Old World Wisconsin chronicles the fascinating and complex origins of this outdoor museum, highlighting the struggles that faced its creators as they worked to achieve their vision. Even as Milwaukee architect and preservationist Richard W. E. Perrin, the Society's staff, and enthusiastic volunteers opened the museum in time for the national bicentennial in 1976, the site was plagued by limited funds, bureaucratic tangles, and problems associated with gaining public support. By documenting the engaging story of the challenges, roadblocks, false starts, and achievements of the site's founders, Krugler brings to life the history of the dedicated corps who collected and preserved Wisconsin's diverse social history and heritage. A decimated Shiite shrine in Iraq. The smoking World Trade Center site. The scorched cityscape of 1945 Dresden. Among the most indelible scars left by war is the destroyed landscapes, and such architectural devastation damages far more than mere buildings. Robert Bevan argues herethat shattered buildings are not merely “collateral damage,” but rather calculated acts of cultural annihilation. From Hitler’s Kristallnacht to the toppling of Saddam Hussein’s statue in the Iraq War, Bevan deftly sifts through military campaigns and their tactics throughout history, and analyzes the cultural impact and catastrophic consequences of architectural destruction. For Bevan, these actions are nothing less than cultural genocide. Ultimately, Bevan forcefully argues for the prosecution of nations that purposely flout established international treaties against destroyed architecture. A passionate and thought-provoking cri de coeur, The Destruction of Memory raises questions about the costs of war that run deeper than blood and money. Over the past 25 years, award-winning ethnographer and photographer Camilo José Vergara has traveled annually to Detroit to document not only the city’s precipitous decline but also how its residents have survived. From the 1970s through the 1990s, changes in Detroit were almost all for the worse, as the fabric of the city was erased through neglect and abandonment. But over the last decade, Detroit has seen the beginnings of a positive transformation, and the photography in Detroit Is No Dry Bones provides unique documentation of the revival and its urbanistic possibilities. Beyond the fate of the city’s buildings themselves, Vergara’s camera has consistently sought to capture the distinct culture of this largely African American city. The photographs in this book, for example, are organized in part around the way people have re-used and re-purposed structures from the past. Vergara is unique in his documentation of local churches that have re-occupied old bank buildings and other impressive structures from the past and turned them into something unexpectedly powerful architecturally as well as spiritually. Positioned along the legendary Southwest Trail, the town of Washington in Hempstead County in southwest Arkansas was a thriving center of commerce, business, and county government in the nineteenth century. Historical figures such as Davy Crockett and Sam Houston passed through, and during the Civil War, when the Federal troops occupied Little Rock, the Hempstead County Courthouse in Washington served as the seat of state government. A prosperous town fully involved in the events and society of the territorial, antebellum, Civil War, and Reconstruction eras, Washington became in a way frozen in time by a series of events including two fires, a tornado, and being bypassed by the railroad in 1874. Now an Arkansas State Park and National Historic Landmark, Washington has been studied by the Arkansas Archeological Survey over the past twenty-five years. 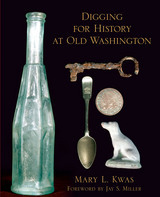 Digging for History at Old Washington joins the historical record with archaeological findings such as uncovered construction details, evidence of lost buildings, and remnants of everyday objects. Of particular interest are the homes of Abraham Block, a Jewish merchant originally from New Orleans, and Simon Sanders from North Carolina, who became the town’s county clerk. The public and private lives of the Block and Sanders families provide a fascinating look at an antebellum town at the height of its prosperity. The quintessential New England barn–photogenic, full of character, and framed by flaming autumn foliage–is an endangered species. Of some 30,000 barns in Vermont alone, nearly a thousand a year are lost to fire, collapse, or bulldozers. 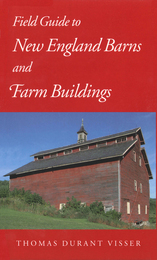 Thomas Durant Visser’s field guide to the barns, silos, sugar houses, granaries, tobacco barns, and potato houses of New England is an attempt to document not just their structure but their traditions and innovations before the surviving architectural evidence of this rich rural heritage is lost forever. A recognized authority on historic barn preservation, Visser has combed the six-state region for representative barns and outbuildings, and 200 of his photographs are reproduced here. 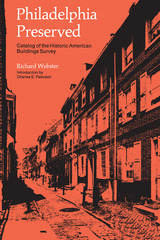 The text, which includes accounts from 18th– and 19th–century observers, describes key architectural characteristics, historic uses, and geographic distribution as well as specific features like timbers and frames, sheathings, doors, and cupolas. From English barns to bank barns, from ice houses to outhouses, these irreplaceable assets, Visser writes, “linger as vulnerable survivors of the past. Yet before these buildings vanish, each has a story to tell.” Travelers, residents, and scholars alike will find Visser’s text invaluable in uncovering, understanding, and appreciating the stories inherent in these dwindling cultural artifacts. Step back to the day when a visit to the gas station meant service with a smile, a wash of the windshield, and the cheerful question, "Fill 'er up?" Since their unremarkable beginnings as cheap shacks and curbside pumps at the dawn of the automobile age, gas stations have taken many forms and worn many guises: castles, cottages and teepees, Art Deco and Streamline Moderne, clad with wood, stucco, or gleaming porcelain in seemingly infinite variety. The companion volume to the Wisconsin Public Television documentary of the same name, Fill 'er Up: The Glory Days of Wisconsin Gas Stations visits 60 Wisconsin gas stations that are still standing today and chronicles the history of these humble yet ubiquitous buildings. The book tells the larger story of the gas station's place in automobile culture and its evolution in tandem with American history, as well as the stories of the individuals influenced by the gas stations in their lives. Fill 'er Up provides a glimpse into the glory days of gas stations, when full service and free oil changes were the rule and the local station was a gathering place for neighbors. More importantly, Fill 'er Up links the past and the present, showing why gas stations should be preserved and envisioning what place these historic structures can have in the 21st century and beyond. From the Greek Revival architecture found in Mississippi to the Queen Anne style of North Carolina, governors’ mansions in the American South convey a passion for antiquity, as well as a regional elegance. Ann Liberman, author of Governors’ Mansions of the Midwest, spent much of her life in Texas and admires the remarkable architecture of the antebellum South—a respect that she now brings to her newest book. Governors’ Mansions of the South is devoted to the eleven states of the old Confederacy, plus Kentucky and West Virginia, and offers a brick-and-mortar reflection of the region’s rich history. It includes the country’s oldest governor’s mansion in continuous use, in Virginia, plus two built as recently as the 1960s, in Louisiana and Georgia. These mansions reflect an architectural cohesiveness found throughout the South, as Georgian, Federal, and Greek Revival styles imbue antebellum houses with a classical aura, while others built in the first quarter of the twentieth century reflect the monumental eclectic styles of the Beaux Arts era. Liberman provides readers with a room-by-room guided tour of each of the buildings as she comments on their architecture, symbolism, and lore. She places the mansions in historical context, describing how their locations were chosen, how they were designed and decorated, and how they have been preserved, lost, or transformed over the years. While focusing primarily on the buildings themselves, she also highlights those governors and their wives who played significant roles in the mansions’ maintenance or renovation. Alise O’Brien’s accompanying color photographs capture the lavish interiors and furnishings as well as the dignified exteriors and landscapes. “Living in the Governor’s Mansion is a remarkable honor,” writes former governor of Florida Jeb Bush in his foreword, “but it is also a constant, humbling reminder that the people who occupy the mansions are, indeed, the public’s servants.” For site visitors or architecture buffs, Governors’ Mansions of the South is an enlightening introduction to these historic executive homes, reminding us that, however opulent, they provide a personal connection between the public and its government—and connect past generations to the present. From its beginning as a haven for English Quakers in the colony William Penn founded in 1681, the city of Philadelphia prospered, becoming a leading port in the English Atlantic World and a center of American culture and politics. Grounded in enlightenment ideals, Philadelphia attracted diverse settlers from the Old and New Worlds. By the 1760s, a cash-strapped England set its sights on taxing the American colonies to pay its debts. Philadelphia assumed roles as a center of revolutionary protests, a meeting place for colonial delegates to decide on independence and a new form of government, and, finally, the first capital of the United States of America. Richly illustrated with both new photography and an amazing array of early American art drawn from the collections of some of America’s leading museums and archives, Independence: A Guide to Historic Philadelphia reveals the stories of the persons who experienced the early years of the new nation in America’s first capital. Based on meticulous research, Independence walks its readers through the lives of the residents and visitors of the revolutionary city, and through the streets and buildings that they knew. Famous names are here: Franklin, Jefferson, Adams, Washington. But Independence also focuses on the fascinating stories of less famous American founders. Enslaved and free, women and men, rich and poor, patriot and Tory, shaped Philadelphia’s and America’s experience in the revolutionary era, and all have their say here. In addition, this guide tells the stories of the iconic buildings and streets where America was founded. 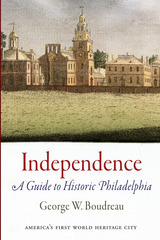 The book explores the dozens of buildings that make up Independence National Historical Park and connects these with neighboring sites that are also intimately associated with the story of America’s birth. Independence will enrich the experience of those who travel to these historic sites, as well as offer a vivid and fascinating story for the general reader. Preservation enthusiasts, architectural historians, and anyone caught up in chronicles of life in early Iowa will find much to treasure in Wesley Shank's catalog of the state's historical buildings. Heavily illustrated and clearly indexed, it offers a concise essay on development of the building arts from the first log cabins through the Prairie School structures of Frank Lloyd Wright and his followers. Well over 100 private and public buildings are indexed by city and structure. 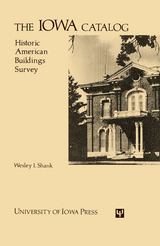 Emeritus professor Wesley Shank of Iowa State University's Department of Architecture highlights design and construction features, historical associations, and details of ownership, using measured drawings, photographs, and written documentation from the Historic American Buildings Survey. Since Arkansas’s creation as an independent territory in 1819, its legislature has officially designated a wide assortment of symbols. Some of these refer to economic mainstays while others attest to the aspirations of those who saw a bright future for their extensive and varied community. This volume’s essays examine each of Arkansas’s officially designated symbols, outlining their genesis, their significance at the time of their adoption, and their place in modern Arkansas. Combining political narratives, natural history, and the occasional “shaggy dog” story, Ware makes a case for considering the symbols as useful keys to understanding both the Arkansas that has been and the one it hopes to be. During the 2017 session, the Arkansas Legislative Assembly expanded the state’s complement of official state symbols. The second edition of this statewide bestseller includes an additional chapter on Arkansas’s newest symbol: the state dinosaur, Arkansaurus fridayi. In It’s Official!, David Ware makes a case for considering the symbols as useful keys to understanding both the Arkansas that has been and the one it hopes to be. The twentieth century in Russia has been a cataclysm of rare proportions, as war, revolution, famine, and massive political terror tested the limits of human endurance. The results of this assault on Russian culture are particularly evident in ruined architectural monuments, some of which are little known even within Russia itself. Over the past four decades William Craft Brumfield, noted historian and photographer of Russian architecture, has traveled throughout Russia and photographed many of these neglected, lost buildings, poignant and haunting in their ruin. Lost Russia provides a unique view of Brumfield’s acclaimed work, which illuminates Russian culture as reflected in these remnants of its distinctive architectural traditions. 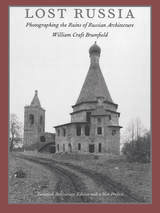 Capturing the quiet, ineffable beauty that graces these buildings, these photographs are accompanied by a text that provides not only a brief historical background for Russian architecture, but also Brumfield’s personal impressions, thoughts, and insights on the structures he views. Churches and monasteries from the fifteenth to the twentieth century as well as abandoned, ruined manor houses are shown—ravaged by time, willful neglect, and cultural vandalism. Brumfield also illustrates examples of recent local initiatives to preserve cultural landmarks from steady decline and destruction. Concluding with photographs of the remarkable log architecture found in Russia’s far north, Lost Russia is a book for all those concerned with the nation’s cultural legacy, history, and architecture, and with historic and cultural preservation generally. It will also interest those who appreciate the fine art of exceptional photography. John Fedynsky documents in narrative and photos every county courthouse of Michigan's eighty-three counties, as well as the Michigan Hall of Justice. These buildings are symbols: physically they stand, but figuratively they speak. They embody the purposes for which they were created: law, order, justice, and the promise of a better tomorrow. Fedynsky tells the story of each building. For Michigan, the typical evolution begins in the cabin, tavern, or hotel of a prominent local settler and progresses through incarnations of simple log or wooden clapboard, and then opulent stone or brick, before the structure arrives in modern and utilitarian form. But there are myriad exceptions to this rule, and they add to the diversity of Michigan's county courthouses. In Fedynsky's descriptions, verifiable facts and local lore weave together in dramatic tales of outrageous crime, courtroom intrigue, backroom dealing, jury determination, and judicial prerogative. Released jail inmates assist with evacuating and extinguishing a courthouse fire, residents during a natural disaster seek and find physical refuge behind the sure walls of the courthouse, and vigilant legions of homebound defenders are stationed in wartime throughout the courthouse towers scanning the skies for signs of foreign aircraft. Then there are the homey touches that emphasize the "house" half of Michigan's courthouses: local folks dropping off plants in the courthouse atrium to use it as a winter greenhouse, cows grazing on the public square, county fairs in or near the courthouse, and locally made artwork hanging in public hallways. The courthouses bear within their walls a richness of soul endowed by the good people who make each one special. John Fedynsky is a former research attorney for the Michigan Court of Appeals in Detroit and Grand Rapids, Michigan. He also served as a law clerk to the Honorable Robert H. Cleland, U.S. District Court for the Eastern District of Michigan. Fedynsky currently practices civil law as an Assistant Attorney General for the State of Michigan. The history of any place is conveyed through a range of documents and artifacts, including the buildings that over time have sheltered people and their activities. This is especially true in Nevada, a place where the harshness of the landscape and the isolation and mobility of the population challenged residents to erect structures and institutions that would strengthen their sense of community and permanence. The remnants of Nevada’s architectural heritage that lie scattered across the state’s map bear silent but indispensable witness to its brief, eventful history. In 1991, Nevada’s Commission for Cultural Affairs was created to oversee the preservation of the state’s historic buildings and the conversion of the best of them for use as cultural centers. 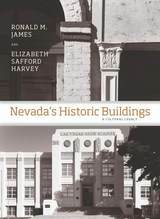 Working closely with local groups and drawing on both public and private resources, this program has rehabilitated dozens of historic structures treasured by their communities for the ways they represent the development of the state and its culture.Nevada’s Historic Buildings highlights 90 of these buildings, describing them in the context of the state’s history and the character of the people who created and used them. The selections reflect the resourcefulness and innovation of early settlers struggling to inhabit an austere environment, as well as the diversification over time of Nevada’s economy and population. Here are reminders of mining boomtowns, historic ranches, transportation, the divorce and gaming industries, the New Deal, and the revolutionary innovation of Las Vegas’s postmodern aesthetic. These edifices are precious resources that provide a cross-section of Nevada’s rich historic and cultural heritage. Their stories reflect the people and events that shaped Nevada, and their survival offers everyone the enthralling experience of touching the past. Built between 1839 and 1842, the domed structure of Iowa City's Old Capitol served as the third territorial capitol and the first state capitol of Iowa. In 1857, when the state government was moved to Des Moines, Old Capitol became the first building of the new University of Iowa. It remains today the centerpiece of this handsome campus. The story of its history and restoration, told in this elegantly illustrated book, is an intriguing account of historical architectural detection. 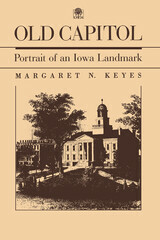 Using primary sources, including manuscripts, vouchers, account books, newspaper stories, correspondence, and documents from the National Archives and Iowa repositories, Margaret Keyes portrays the major events of the total history of Old Capitol since its site was determined. At its most basic, historic preservation is about keeping old places alive, in active use, and relevant to the needs of communities today. As cities across America experience a remarkable renaissance, and more and more young, diverse families choose to live, work, and play in historic neighborhoods, the promise and potential of using our older and historic buildings to revitalize our cities is stronger than ever. This urban resurgence is a national phenomenon, boosting cities from Cleveland to Buffalo and Portland to Pittsburgh. Experts offer a range of theories on what is driving the return to the city—from the impact of the recent housing crisis to a desire to be socially engaged, live near work, and reduce automobile use. But there’s also more to it. Time and again, when asked why they moved to the city, people talk about the desire to live somewhere distinctive, to be some place rather than no place. Often these distinguishing urban landmarks are exciting neighborhoods—Miami boasts its Art Deco district, New Orleans the French Quarter. Sometimes, as in the case of Baltimore’s historic rowhouses, the most distinguishing feature is the urban fabric itself. While many aspects of this urban resurgence are a cause for celebration, the changes have also brought to the forefront issues of access, affordable housing, inequality, sustainability, and how we should commemorate difficult history. This book speaks directly to all of these issues. In The Past and Future City, Stephanie Meeks, the president of the National Trust for Historic Preservation, describes in detail, and with unique empirical research, the many ways that saving and restoring historic fabric can help a city create thriving neighborhoods, good jobs, and a vibrant economy. She explains the critical importance of preservation for all our communities, the ways the historic preservation field has evolved to embrace the challenges of the twenty-first century, and the innovative work being done in the preservation space now. This book is for anyone who cares about cities, places, and saving America’s diverse stories, in a way that will bring us together and help us better understand our past, present, and future. When Hurricane Katrina struck New Orleans, the world reacted with shock on seeing residents of this distinctive city left abandoned to the floodwaters. After the last rescue was completed, a new worry arose—that New Orleans’s unique historic fabric sat in ruins, and we had lost one of the most charming old cities of the New World. In Patina, anthropologist Shannon Lee Dawdy examines what was lost and found through the destruction of Hurricane Katrina. Tracking the rich history and unique physicality of New Orleans, she explains how it came to adopt the nickname “the antique city.” With innovative applications of thing theory, Patina studies the influence of specific items—such as souvenirs, heirlooms, and Hurricane Katrina ruins—to explore how the city’s residents use material objects to comprehend time, history, and their connection to one another. 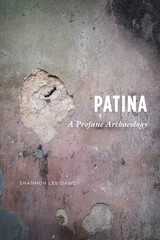 A leading figure in archaeology of the contemporary, Dawdy draws on material evidence, archival and literary texts, and dozens of post-Katrina interviews to explore how the patina aesthetic informs a trenchant political critique. An intriguing study of the power of everyday objects, Patina demonstrates how sharing in the care of a historic landscape can unite a city’s population—despite extreme divisions of class and race—and inspire civil camaraderie based on a nostalgia that offers not a return to the past but an alternative future. From its founding in 1758, Pittsburgh has experienced several epic transformations. It began its existence as a fortress, on a site originally selected by George Washington. A hundred years later, and well into our own time, no other American city was as intensively industrialized, only to be later consigned to “rustbelt” status. Remade as a thriving twenty-first-century city and an international center for science, medicine, biotechnology, and financial services, Pittsburgh is now routinely acclaimed as one of the most promising and livable of America's cities. Franklin Toker shows us why. Toker highlights this remarkable story of urban reinvention by focusing on what makes Pittsburgh so resilient and appealing - its strong neighborhoods and their surprisingly rich architectural history. The many unique, lively urban communities that make up Pittsburgh are a treasure trove of every imaginable style of structure, from Victorian to Bauhaus, Gothic to Art Deco, and from Industrial to Green. These ordinary homes expressed the aspirations of people who came from around the world to settle in Pittsburgh, while they built the city itself into an economic powerhouse. With the wealth generated by this everyday work, local captains of industry could build their own monumental additions to Pittsburgh's urban landscape, including two of America's greatest buildings: H. H. Richardson's Allegheny Courthouse and Frank Lloyd Wright's Fallingwater. With accessible prose, Toker examines Pittsburgh in its historical context (from Indian settlement to postmodern city), in its regional setting (from the playgrounds of the Laurel Highlands to the hard-working mill towns dotting the landscape), and from the street level (leading the reader on a personal tour through every neighborhood). 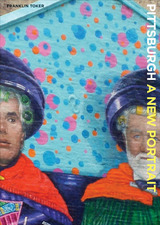 Lavishly illustrated with photos and maps, Pittsburgh: A New Portrait reveals the true colors of a truly great American city. This book features a rare treasury of Victorian and turn-of-the-century buildings and the people who first came to Northwest Denver. The area's pure air, great views, and clean water were great attractions. Rediscovering Northwest Denver describes the area's incorporated suburbs of the 1800's, the farms, the early amusement parks, all of which became part of Denver around the turn of the century. Rediscovering Northwest Denver is a chatty, enjoyable read that tells of the tycoons and entrepreneurs whose fine Victorian homes still dot the area, and of the immigrants from various European cultures who clung together for comfort in the face of prejudice. 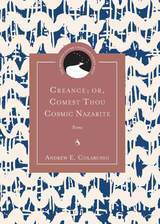 It includes maps, photographs, past and present street names, a bibliography, index, and suggested tours. 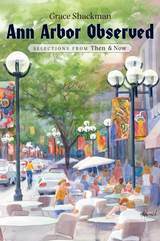 Northwest Denver today is typified by traditions, beauty, and pride, all of which the author captures in this ever-popular book. Winner of the 1993 Hubert Humphrey Award for the book's contribution to the historical appreciation and preservation of Northwest Denver. The use of cars and trucks over the past century has remade American geography—pushing big cities ever outward toward suburbanization, spurring the growth of some small towns while hastening the decline of others, and spawning a new kind of commercial landscape marked by gas stations, drive-in restaurants, motels, tourist attractions, and countless other retail entities that express our national love affair with the open road. By its very nature, this landscape is ever changing, indeed ephemeral. What is new quickly becomes old and is soon forgotten. In this absorbing book, John Jakle and Keith Sculle ponder how “Roadside America” might be remembered, especially since so little physical evidence of its earliest years survives. In straightforward and lively prose, supplemented by copious illustrations—historic and modern photographs, advertising postcards, cartoons, roadmaps—they survey the ways in which automobility has transformed life in the United States. Asking how we might best commemorate and preserve this part of our past—which has been so vital economically and politically, so significant to the cultural aspirations of ordinary Americans, yet so often ignored by scholars who dismiss it as kitsch—they propose the development of an actual outdoor museum that would treat seriously the themes of our roadside history. John A. Jakle is Emeritus Professor of Geography at the University of Illinois, Urbana-Champaign. Keith A. Sculle is the former head of research and education at the Illinois Historic Preservation Agency. 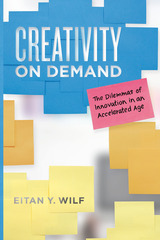 They have coauthored such books as America’s Main Street Hotels: Transiency and Community in the Early Automobile Age; Motoring: The Highway Experience in America; Fast Food: Roadside Restaurants in the Automobile Age; and The Gas Station in America. One of the most visited sites in Italy, the Roman Forum is also one of the best-known wonders of the Roman world. David Watkin sheds completely new light on the Forum, examining the roles of the ancient remains while revealing what exactly the standing structures embody - including the rarely studied medieval, Renaissance, and Baroque churches, as well as the nearby monuments that have important histories of their own. In Russia, legislation on the separation of church and state in early 1918 marginalized religious faith and raised pressing questions about what was to be done with church buildings. While associated with suspect beliefs, they were also regarded as structures with potential practical uses, and some were considered works of art. 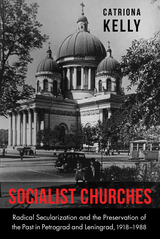 This engaging study draws on religious anthropology, sociology, cultural studies, and history to explore the fate of these “socialist churches,” showing how attitudes and practices related to them were shaped both by laws on the preservation of monuments and anti-religious measures. Advocates of preservation, while sincere in their desire to save the buildings, were indifferent, if not hostile, to their religious purpose. Believers, on the other hand, regarded preservation laws as irritants, except when they provided leverage for use of the buildings by church communities. The situation was eased by the growing rapprochement of the Orthodox Church and Soviet state organizations after 1943, but not fully resolved until the Soviet Union fell apart. Based on abundant archival documentation, Catriona Kelly’s powerful narrative portrays the human tragedies and compromises, but also the remarkable achievements, of those who fought to preserve these important buildings over the course of seven decades of state atheism. Socialist Churches will appeal to specialists, students, and general readers interested in church history, the history of architecture, and Russian art, history, and cultural studies. A look at the antebellum history and architecture of the little-known sugar industry of East Florida. From the late eighteenth century to early 1836, the heart of the Florida sugar industry was concentrated in East Florida, between the St. Johns River and the Atlantic Ocean. Producing the sweetest sugar, molasses, and rum, at least 22 sugar plantations dotted the coastline by the 1830s. This industry brought prosperity to the region—employing farm hands, slaves, architects, stone masons, riverboats and their crews, shop keepers, and merchant traders. But by January 1836, Native American attacks of the Second Seminole War, intending to rid the Florida frontier of settlers, devastated the whole sugar industry. Although sugar works again sprang up in other Florida regions just prior to the Civil War, the competition from Louisiana and the Caribbean blocked a resurgence of sugar production for the area. The sugar industry would never regain its importance in East Florida—only two of the original sugar works were ever rebuilt. Today, remains of this once thriving industry are visible in a few parks. Some are accessible but others lie hidden, slowly disintegrating and almost forgotten. Archaeological, historical, and architectural research in the last decade has returned these works to their once prominent place in Florida’s history, revealing the beauty, efficiency of design, as well as early industrial engineering. Equally important is what can be learned of the lives of those associated with the sugar works and the early plantation days along the East Florida frontier. Drawing on more than four decades of research, Tennessee Log Buildings examines one of the Volunteer State’s most precious—and fast-disappearing—traditions. From the pioneer era through the mid–twentieth century, folk builders in Tennessee used logs to construct cabins, barns, other outbuildings, schools, and churches. In warm, accessible prose that often makes this deeply researched work read like guidebook, John Rehder explores the varied styles and architectural characteristics of these fascinating structures, including their floor plans, the types of timber used, and the different notches that were cut into the logs to secure the structures. Profusely illustrated with over one hundred images, Tennessee Log Houses traces the evolution of log houses from one-room (or single-pen) dwellings to more elaborate homes of various types, such as saddlebags, Cumberland houses, dogtrots, and two-story I-houses. Rehder discusses the historic settlement patterns and building traditions that led to this variety of house types and identifies their particular occurrences throughout the state by drawing on surveys conducted in forty-two counties by teams working for the Tennessee Historical Commission (THC). Similarly, he explores disparate barn and outbuilding types, including the distinctive cantilever barns that are found predominantly in East Tennessee. Sprinkled throughout the book are engaging anecdotes that convey just what it is like to conduct field research in remote rural areas. Rehder also describes in detail a number of the state’s exceptional log places, among them Wynnewood, an enormous structure in Middle Tennessee which dates back to the early nineteenth century and which suffered severe tornado damage in 2008. As the author notes, many of the buildings originally identified in the THC investigations have now vanished completely while others are in serious disrepair. Thus, this book not only offers an instructive and delightful look at a key part of Tennessee’s heritage but also makes an eloquent plea for its preservation. Until his death in 2011, JOHN B. REHDER was a professor of geography at the University of Tennessee, Knoxville. He first joined the UT faculty in 1967. He was the author of Appalachian Folkways, which won the Pioneer America Society’s Fred B. Kniffen Book Award in 2004, and Delta Sugar: Louisiana’s Vanishing Plantation Landscape, which won the Vernacular Architecture Forum’s 2000 Abbott Lowell Cummings Award. Shikarpoor Historic City, in Sindh, Pakistan, has a rich historical heritage: as a central point on caravan trade routes, it served as the gateway to Afghanistan and Central Asia. In recognition of that history, in 1998 the government of Sindh named it a protected heritage site-but that status hasn't prevented the ongoing destruction of the city's historic fabric. This book tells the story of Shikarpoor and presents as complete a picture of its threatened historical fabric as possible, through copious maps and images past and present. 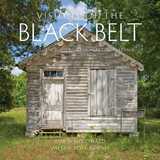 In Visions of the Black Belt, Robin McDonald and Valerie Pope Burnes offer a richly illustrated tour of the Black Belt, the fertile arc that represents the cultural efflorescence of Alabama’s heartland. Like knowledgeable friends, McDonald and Burnes guide readers through the Black Belt’s towns and architecture and introduce the region’s great panoply of citizens, farmers, craftspeople, cooks, writers, and musicians. A constellation of Black Belt towns arose during Alabama’s territorial decades, communities like Selma, Camden, Eutaw, Tuskegee, Greenville, and many more. Visions of the Black Belt recounts their stories and others, such as Demopolis’s founding by exiles from Napoleon’s France. As an escarpment of clouds scuds across an indigo sky, the ruins of Alabama’s lost capital of Cahaba reveal the secrets of its lost squares. Also on this picturesque tour are the Black Belt’s homes, from artless cabins wreathed in fern to ozymandian manses wrapped by stately columns, such as Kirkwood and Reverie. Among the emblematic houses of worship lovingly photographed in Visions of the Black Belt is Prairieville’s St. Andrew’s Episcopal Church, noted for its “carpenter gothic” style. Also reflecting the region’s history of faith are poignant graveyards such as Greenville’s Pioneer Cemetery with its homespun memorials of seashell-and-concrete and the elegant marbles clad in ebon lichen of Selma's Live Oak Cemetery. In photos and text, McDonald and Burnes bring to life the layers of history that shaped the Black Belt’s tastes, sounds, and colors. Their gastronomic discoveries include the picant crawfish of the Faunsdale Bar & Grill and GainesRidge Dining Club’s famed Black Bottom pie. They bring the sounds of the Black Belt to life by presenting a wide range of musicians and musical events, from bona fide blues and soul masters to Eutaw’s Black Belt Roots Festival. Including two maps and more than 370 full-color photographs, Visions of the Black Belt offers a timeless message of faith, determination, and the rich simplicity of living in harmony with the rhythms of the land and nature. On the occasion of the Capitol’s centennial in 2017, this book tells the remarkable story of the building—in all its incarnations—and the people who made history beneath its dome. The book covers the creation of the territorial capitol in 1837, the construction of the second capitol in the 1860s (and the fire that almost completely destroyed it in 1904), the eleven-year construction project that completed the third capitol in 1917, and the extensive conservation project of the 1990s that restored the building to its grandeur. 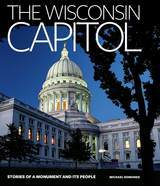 Supporting the framework of this architectural history are colorful stories about the people who shaped Wisconsin from within the Capitol—attorneys, senators, and governors (from Henry Dodge to Scott Walker), as well as protesters, reformers, secretaries, tour guides, custodians, and even Old Abe, the Capitol’s resident eagle. Combining historical photographs with modern, full-color architectural photos, The Wisconsin Capitol provides fascinating details about the building, while also emphasizing the importance of the Capitol in Wisconsin’s storied history. Take an intimate journey through the family, history, and architecture of 20 residential treasures in Wisconsin’s Own by M. Caren Connolly and Louis Wasserman. Richly illustrated with the photography of Zane Williams and complemented by historical images and watercolors and line drawings, Wisconsin’s Own profiles the architectural history of state’s most remarkable residences built between 1854 and 1939. The houses are a mix of public and private homes that are representative of varied architectural styles, from an Italianate along the Mississippi River and an interpretation of a sixteenth-century northern Italian villa overlooking Lake Michigan to an Adirondack-style camp in the North Woods and a fourteen-bedroom Georgian Revival mansion on Lake Geneva. Frank Lloyd Wright’s Prairie School is, of course, represented as well with examples by Wright and his mentor Louis Sullivan. Wisconsin’s Own tells the story of the considerable contribution that each of these historic homes have made to American residential architecture. It also answers the questions who built the house, what brought them to Wisconsin, why they selected that particular style, and how it is that this historic home still stands—and shines—today.